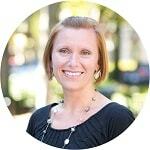 “Thursday is wing night and Friday is pizza.” That’s what my husband told me pretty much right after we got married. I certainly didn’t argue! 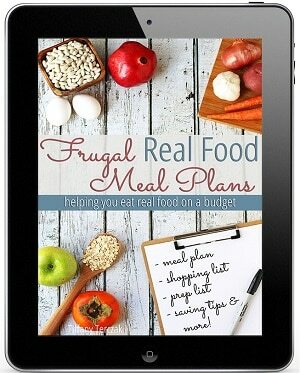 I was new to homemaking, didn’t know a thing about budgeting and I had never heard of the word “meal plan” before. For me, his suggestion meant not having to worry about dinner! Wing night and pizza night evolved over the years, with finally perfecting our homemade pizza dough, super easy homemade pizza sauce and even replicating his favorite pizza shop’s buffalo chicken pizza. Wing night evolved too, and we’ve finally perfected crispy baked chicken wings, which are MUCH healthier (and tastier!) than our original version of deep frying! We originally used a deep fryer (like this one) to cook our chicken wings because that’s how the restaurants did it. They used a deep fryer, and considering we never knew any other way to make them, we took some of our wedding money and bought a deep fryer. It wasn’t the healthiest option of course, but they were SO GOOD… and that fryer made amazing onion rings!! When we moved from Texas to California, we sold everything we owned. If it didn’t fit in our Civic or Corolla, it wasn’t going. Unfortunately, the deep fryer didn’t make the cut. We wanted to keep the Thursday wing night a tradition in California, but we had to learn to make do with what we had. Which basically meant learning how to make crispy BAKED chicken wings. If the oven is too cool, your wings will take forever and the fat won’t cook off enough, leaving you with a rubbery chicken wing. Gross! If the oven is too hot, your wings will cook too fast and the fat won’t have enough time to cook off, leaving you with a fatty wing with a super tough skin. Making crispy oven baked chicken wings is almost an art, similar to making bread. You can follow a recipe, but it really takes hands-on learning to master it. But just like I have great bread recipes if you’re a beginner – No-knead Overnight Artisan Bread and Rosemary Sea Salt Flatbread and 90 Minute Man Bread – I have a great recipe for crispy oven baked chicken wings too that will help you become a chicken wing pro in no time! If I’ve learned anything from cooking thousands of chicken wings, is that there are two secrets to amazing chicken wings. The first is how the chicken wings are cooked, and the second is the sauce. 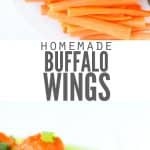 I talked about our homemade buffalo wing sauce here, and if you haven’t made it yet, GO MAKE IT RIGHT NOW. 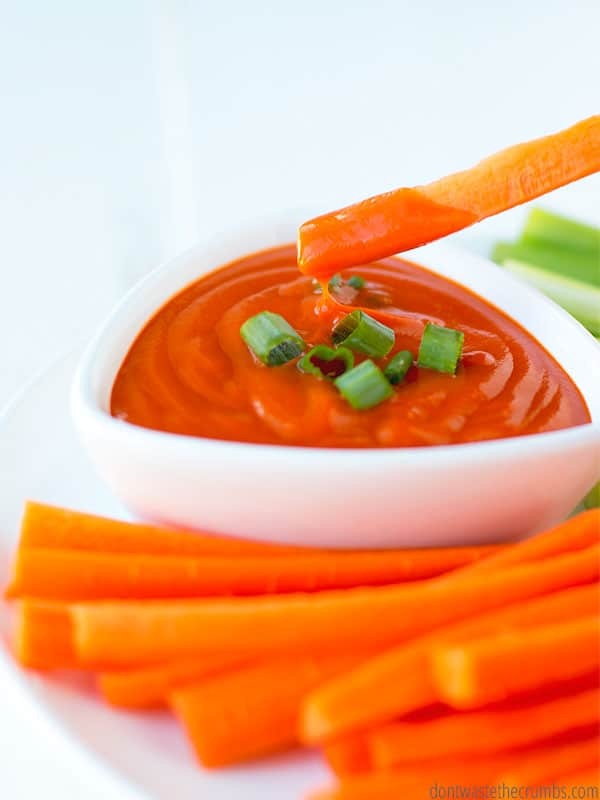 You will not find a better buffalo wing sauce anywhere else. How the chicken wings are cooked is important too, as I mentioned what will happen if your oven is too hot or too cold. What we’ve found is that a moderately high temperature oven, 40 minutes of cook time (with a flip at the halfway mark) consistently yields great crispy baked chicken wings. Can I digress and talk about air fryers for a quick second? My husband saw an air fryer on an infomercial and ever since, he’s been talking about air fryers NON-STOP. He just wouldn’t quit talking about awesome they’d be, how we could make great French fries and yes, even how we could have super crispy chicken wings without using the oven! But when I was thinking of Christmas gifts, the idea of giving him an air fryer seemed like the perfect fit. So I did! Based on reviews alone (because I had no idea where to even BEGIN researching about air fryers), I bought him this exact air fryer. It had extra large capacity, could cook 4.2 liters of food (envision two 2-liters of coke – that’s a lot of food! 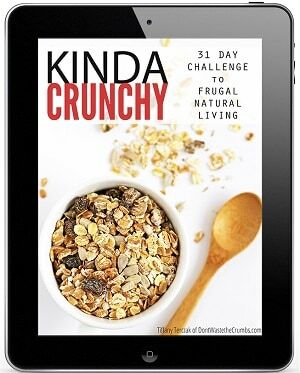 ), and had 4.5 stars out of 1,030+ reviews. Sounds like a winner, right? Christmas night we ditched traditional mashed potatoes for French fries, courtesy of the new air fryer. My husband was SO EXCITED and was looking forward to fast-food or restaurant quality French fries, so he made sure to read the instructions and follow them EXACTLY AS WRITTEN. He even weighed the cut potatoes so he wouldn’t go over the limit! The potatoes were supposed to only take 15-20 minutes, but at the 15 minute mark, only half of the potatoes were cooked and they were only cooked on the outer edges. They weren’t cooked at all in the middle! So he took half of the potatoes out, set them aside and cooked what was left for another 15 minutes. That meant we were cooking the equivalent of two medium russet potatoes at a time, which isn’t much food when you’re feeding a family of four! When the timer beeped, the fries were “okay,” but they still weren’t evenly cooked. The next day we sent the air fryer back and got a refund. The moral of the story: don’t try to use an air fryer to make crispy chicken wings! 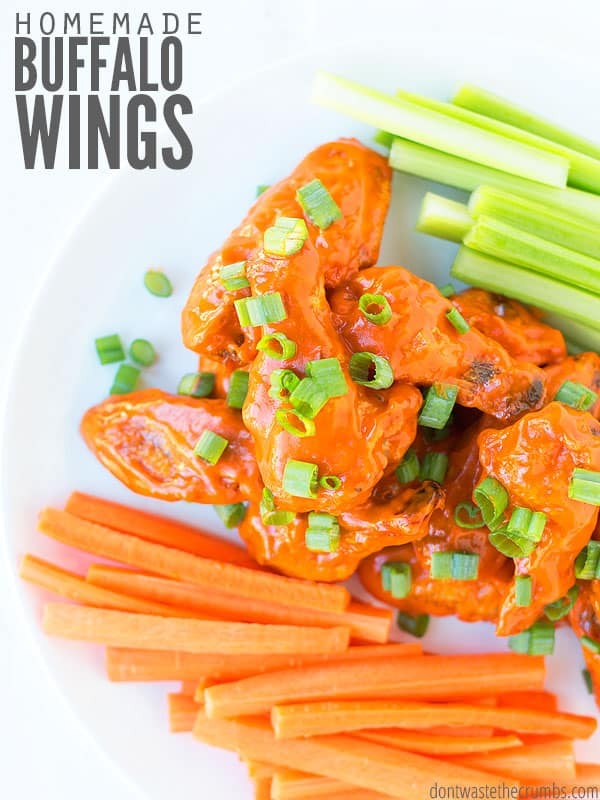 I’m including our tried-and-true recipe below, but I’ve also accidentally come across another method for making crispy oven baked chicken wings! If you’re making pizza… and you’re preheating the oven to the maximum temperature (like we recommend for our homemade pizza recipe), you can put the chicken wings in the oven when you first preheat the oven, set the timer for 20 minutes, flip and then set the timer for another 10 minutes. Caution: Every oven operates differently. Our current oven takes FOREVER to preheat – literally, 35 minutes to go from 0 to 550F. 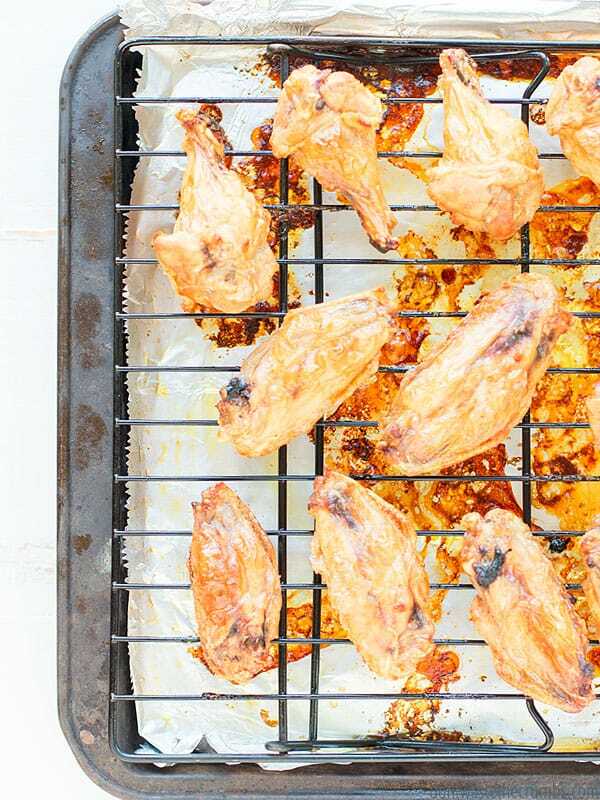 This works in our favor when it comes to crispy oven baked chicken wings. If your oven preheats quickly, I don’t recommend using this method. Wings are super fun to eat, but they don’t give you the best bang for your buck in terms of price per pound and actual food you can eat. They’re usually more than $2 per pound and there’s barely any meat on the bones! 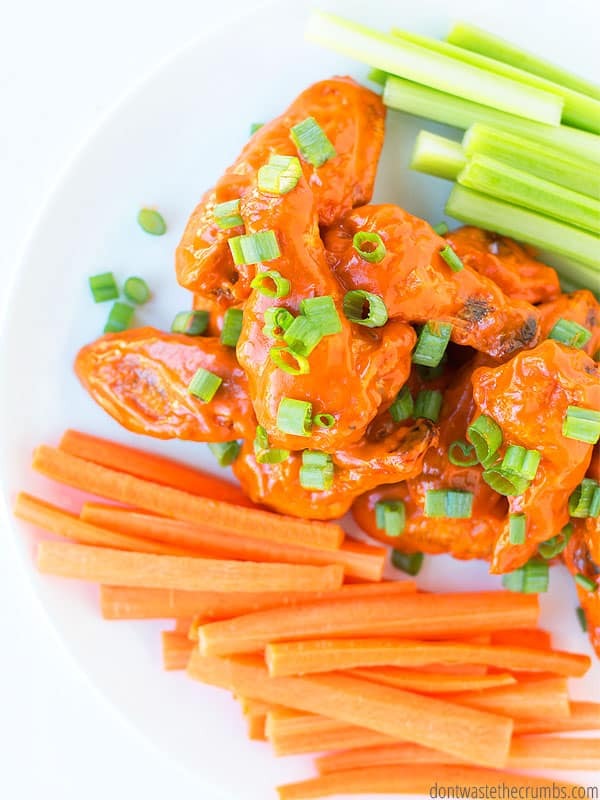 But still, wings are the go-to for gatherings, appetizers and sporting events, so here’s how you can get the most out of them. Leading up to big events, grocery stores will have sales on chicken wings. Look at the circular for the stores in your area (either online, via the store app, via paper circular in the mail, or sign-up to have them emailed to you). Buy wings from the store with the best price, even if you don’t think you’ll save much! Chicken wings are mostly bone and they weigh more, and you never want to run out of wings. While it might seem silly to drive 5 miles to save 25¢ per pound, you’ll come out ahead in the end. 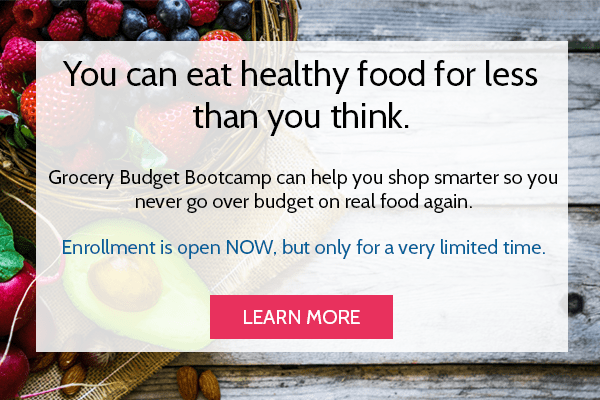 Buying at the rock bottom price is one of the key elements I teach in Grocery Budget Bootcamp. 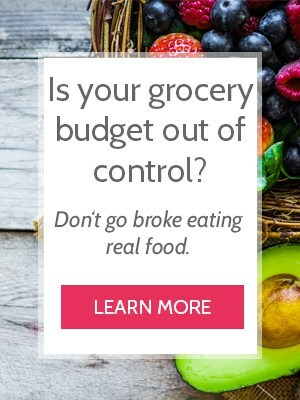 When you save a little money on foods you eat most often, you’ll save a lot of money over time! Consider shopping at bulk warehouse stores like Costco. They consistently have low prices on quality meat, and wings are no exception! We normally buy our wings from Costco and only buy elsewhere when they’re on sale. This might gross you out, but my family saves all chicken bones to make homemade chicken stock… even the ones we eat off of! Whether you want to go this extra mile or not is up to you, but those wings sure do make a lot of bones, which can make a lot of stock! Note: When I’ve talked about this in the past, readers have suggested keeping the bones their family eats off of, but not the ones company eats off of. They’ve also suggested keeping the bones when they’re feeding just the family, but not when company is over. You do whatever you think is best. I know it sounds weird to keep the bones you’ve eaten off of, but when you have a very, very limited grocery budget, you learn to be creative. At the same time, I certainly don’t want you to feel awkward when company is over, so don’t over-think it. Do whatever you think is best! ***Right now get 2 lbs of ground beef + bacon + $10 off your first order from Butcher Box! 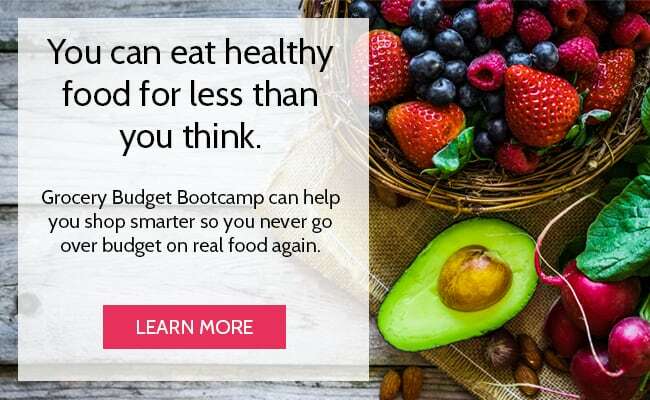 Try some of our easy party recipes, sure to knock the socks off your party guests while keeping your grocery budget in check! Line a large cookie sheet with aluminum foil, and then place a wire rack on top of the foil. Place the chicken wing parts on the wire rack in a single layer, leaving ½” to 1” of space between them so air can circulate. 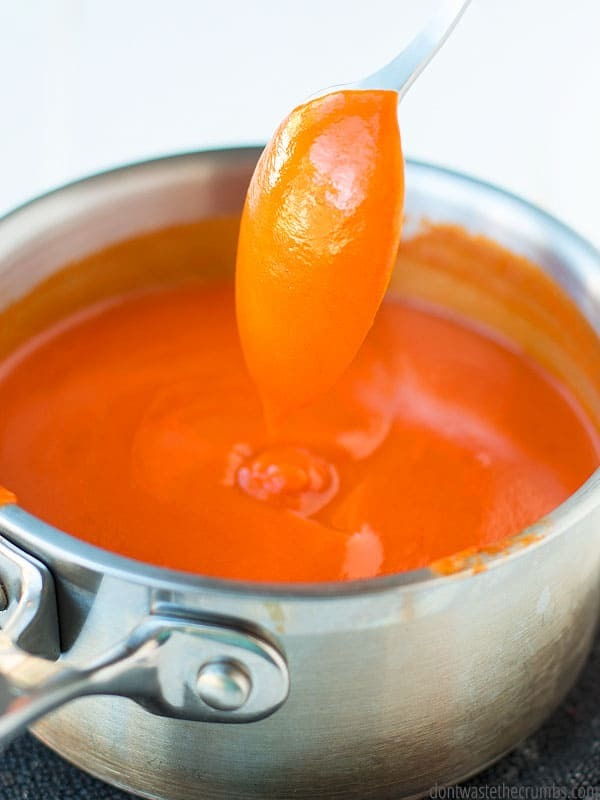 Meanwhile, prepare the homemade buffalo wing sauce, if using. Cook for 20 min. Using a pair of tongs, flip each wing over and continue to cook for another 20 minutes. Remove the wings from the oven and let them cool for 5 minutes on the rack. Put the wings in a glass container with a lid and add half of the homemade buffalo wing sauce. Place the lid on securely and shake vigorously. Add more sauce if needed and shake again. Serve immediately. Wings are best served the day of, but they’re also really good re-heated the next day! *If you have them, save the wing tips for chicken stock for sure! ** You can bake these wings at 400F as well, but you'll want to bake for 22-23 minutes on each side. Personally, I think baking at 425F gives a better crispy skin! Do you have a family favorite meal? Does your family like chicken wings? 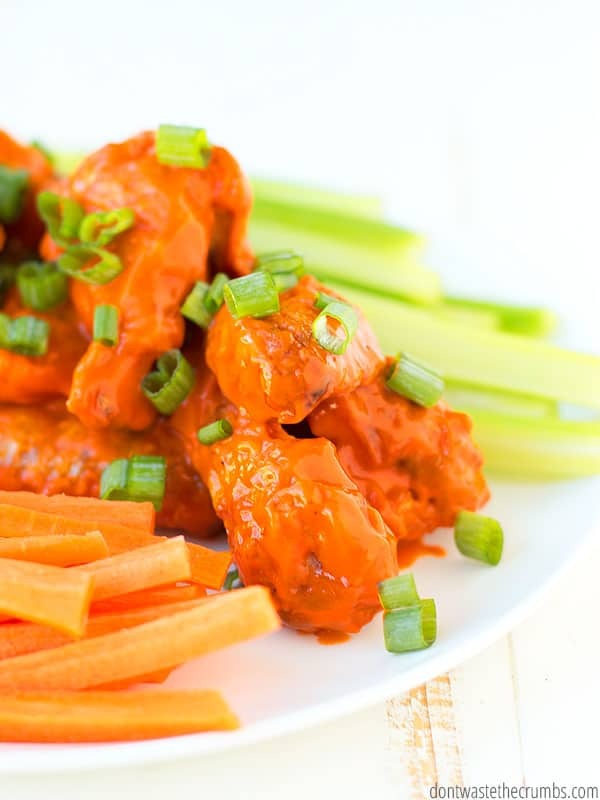 Are you using frozen wings? The wings we buy are usually fresh, at one time frozen… you’d buy them in the meat case, not the freezer case. Does that help?